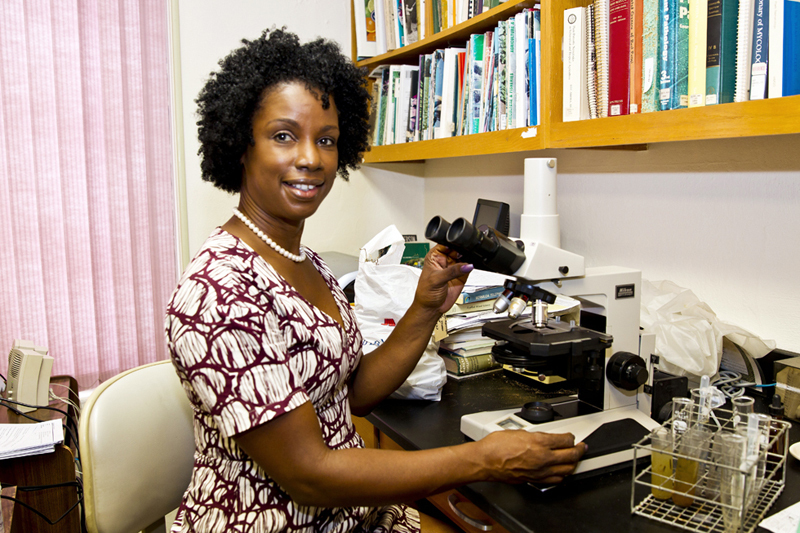 The lack of major problems caused by plant pests and diseases on the island is something most of us probably take for granted, but there is work done behind the scenes to protect Bermuda’s environment by people like Terry-Lynn Thompson, the Senior Plant Protection Officer in the Department of Environmental and Natural Resources. Ms. Thompson entered Government through the Public Service Bursary Awards Scheme, a programme that has supported many young Bermudians’ educational pursuits with a view of preparing them to fill essential technical and professional posts within the public service. Occupations in public service encompass a wide range of varied fields, and some of these posts are deemed hard to fill, meaning that there is a known limited talent pool with expertise in the specific area available on-Island and in some cases there could exist a global shortage of trained resources. As a former Bursary student, Ms. Thompson was pleased to share her journey, saying: “I am pleased to note that I was a recipient of the Bermuda Government Bursary Award. The role of Senior Plant Protection Officer falls within the DENR, which has a mission to protect Bermuda’s environment and manage the sustainable use of its natural resources. “My journey to becoming the Senior Plant Protection Officer was an interesting one. I favored the sciences in high school and upon completion of my undergraduate studies at George Washington University in Washington DC, I graduated with a degree in Biology. 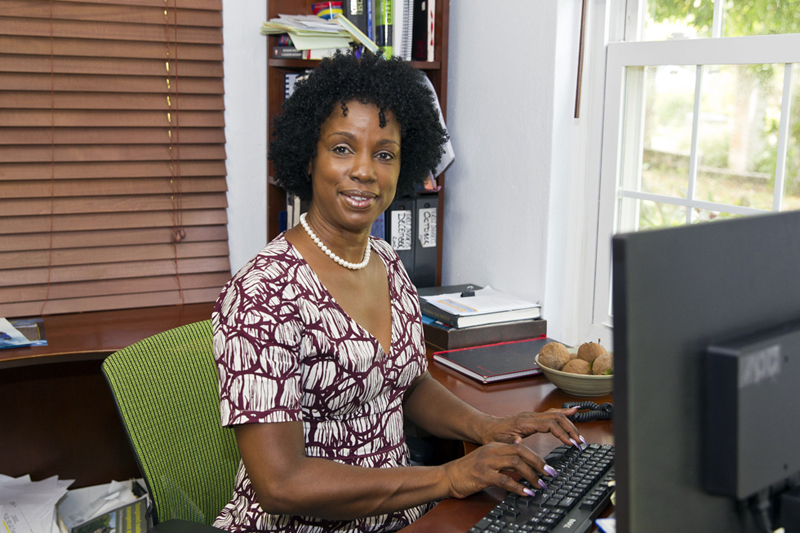 “I returned to Bermuda and worked in the Plant Protection Laboratory at the Department of Agriculture and Fisheries for two and a half years. I had an amazing mentor, my boss, Dr. Roberta Dow. Ms. Thompson notes that a typical day in the life of a Senior Plant Protection Officer at the Department of Environment and Natural Resources [DENR] involves performing risk analyses relative to incoming plant material to prevent the introduction of plant pests and diseases, vetting documentation on incoming pesticides and processing imported plant shipments. “As a Senior Plant Protection Officer, my added responsibilities include developing and managing environmental strategies, conducting research, project management, implementing practical and data driven solutions, developing policies and procedures, and managing capital, natural and Human Resources,” Ms. Thompson said. “Currently I’m working as the Acting Director at the DENR, and I have previously deputized in this role as well as in the role of Director at the Department of Parks. Ms. Thompson believes that the public service offers a wide variety of technical and professional career opportunities. Asked what advice she would impart to young people who are searching for a career, she said, “Pursue studies that you are genuinely interested in, which you enjoy, pursue interests that resonate to your core. “You’re more likely to be passionate and happy in a career aligned with your true interests. You may have a change of mind with respect to your career aspirations, and that’s fine, because as individuals we are continuously evolving and learning more about ourselves in the process, about our preferences and our dislikes. Really good parting advice for young people.